2012 Jeep Patriot For Sale | Bexley Motorcar Co. This rugged 2012 Jeep Patriot Latitude is ready to conquer the road. With a classic deep cherry red exterior outlining the vintage Jeep look everyone will know what you are driving. The signature round Jeep headlight and Fog light will light up the way night or day. The 2.0L 4cyl engine on this 2012 Jeep Patriot gives you all of the power you need to get through life's toughest roads. Paired with a Jeep automatic transmission you have smooth acceleration. With only 71,500 miles there is a ton of life left in the Jeep SUV. The roomy interior looks great in dark slate gray. 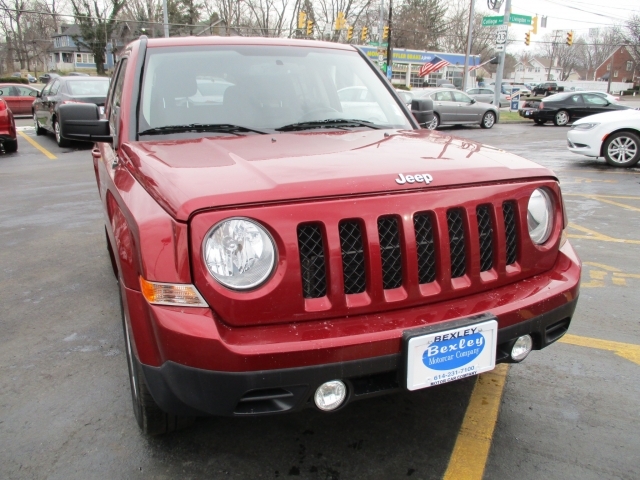 Will a ton of legroom for everyone you can fit 5 adults in this spacious Jeep Patriot. The interior of this Patriot Latitude is full of great convenience features. With Steering Wheel Audio Controls, Heated Seats, Keyless Entry, a Leather Wrapped Steering Wheel, and an Auxiliary Audio Input, you will always be in control of you Jeep Patriot. Other Installed Features Include : Aluminum Wheels, a Gasoline Engine, an Auxiliary Power Outlet, a Rear Head Air Bag, Brake Assist, a Pass-Through Rear Seat, Electronic Stability Control, Air Conditioning, an Adjustable Steering Wheel, Cruise Control, Front Wheel Drive, Disc Brakes, Bucket Seats, and a tire pressure monitoring system will give you the best flexibility you are looking for in your next SUV. Stop by our great location, 2253 E. Livingston Ave. Columbus OH, 43209, and take a test drive in this amazing 2012 Jeep Patriot Latitude.